As much as I despise the over commercialization of Christmas, its hard to feel the season around here as Christmas is almost entirely absent from stores, streets or the TV. Such a contrast to our time in Manila when Christmas started in September and drove us nuts after too many months of Christmas carols. A himalayan yeti. Yup…gotta have one of those! The traditional Nepali temple bell. This was a nice one with a good ring to it. Little tourist bits and pieces make good ornanments with a little glue and string. I bet this Tharu family never thought it would end up handing from a tree. 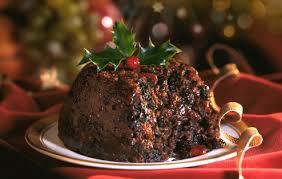 I’ve been making traditional Christmas pudding from scratch for years. I can’t say I have never missed a year as holidays been pretty upside down at times, so there’s probably been a couple of occasions over the last 25 years when I haven’t. But mostly, I’ve somehow managed to pull it off. What’s interesting to me is what I can/can’t get in the different places that we’ve lived. There are so many ingredients in a Christmas pudding recipe that its pretty certain wherever I am (except for the UK) you can’t get something…so you have to leave it out, find a substitute or make it yourself. 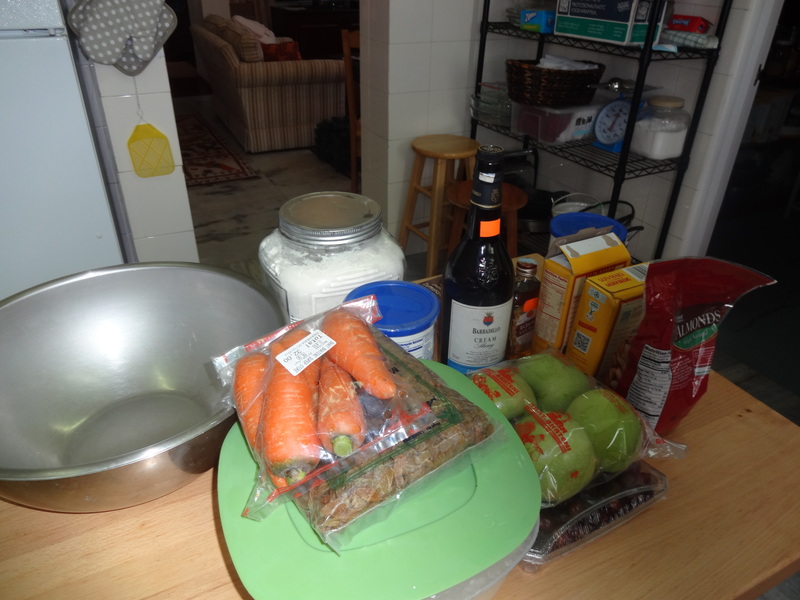 Assembling the ingredients for the pudding. This is only about half of it. Amazingly I found sherry in one of the little stores around our house. The liquor store guy probably couldn’t believe his luck that some crazy foreigner bought it! Now…what else do I need to find……? Here in Kathmandu, the issue was Guinness and lard. I’d put money on the fact that you can get Guinness somewhere around here but I didn’t have the time to go look, so I substituted Tuborg Gold that we had in the fridge and added a tablespoon of molasses for colour. Lard was another problem. I’ve made it myself before from scratch in the States (where you can’t get in over the counter) but that was by rendering beef fat. Here cows wander the streets, not the butcher shops, so the only feasible substitute was mutton fat. 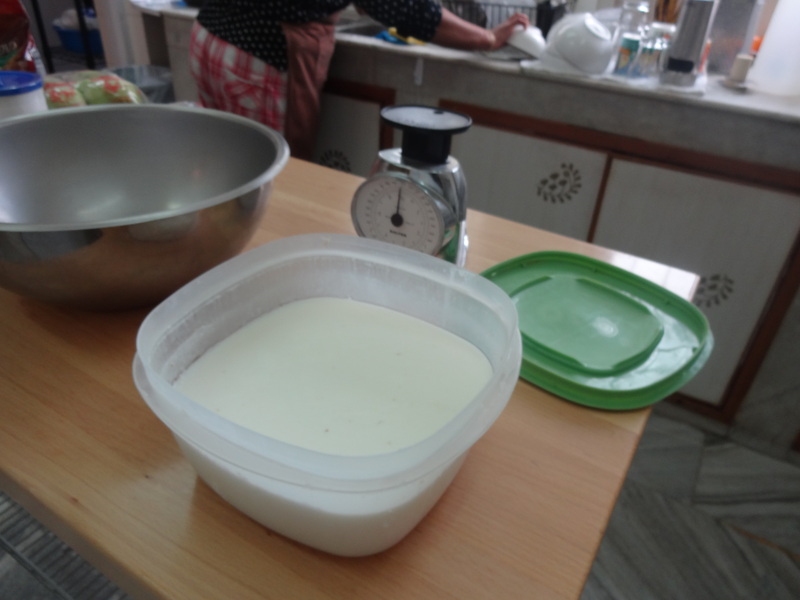 My Didi (helper) headed out to find my enough mutton fat to do the job and I showed her how to render it in the oven to make lard. Its a bit icky and a whole other story, but if you’re interested you can read about it here. She did a good job. 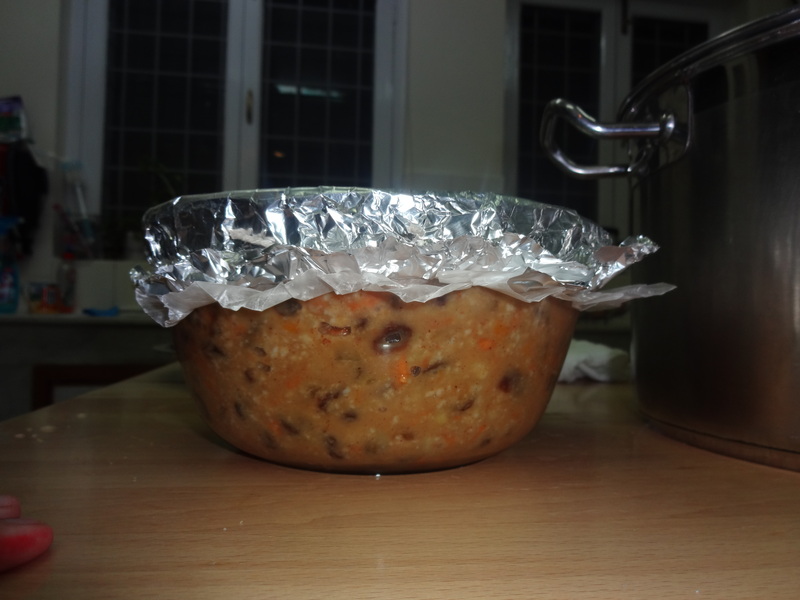 After a couple of hours we had more than enough fresh lard to make Christmas puddings for the next five years. Vast quantities of lard ready to use! Why lard you ask? Lard gives a much lighter, less greasy pudding. I’ve tried it with butter before, but butter is no substitute. It gives a heavy, greasy pudding. It has to be lard. 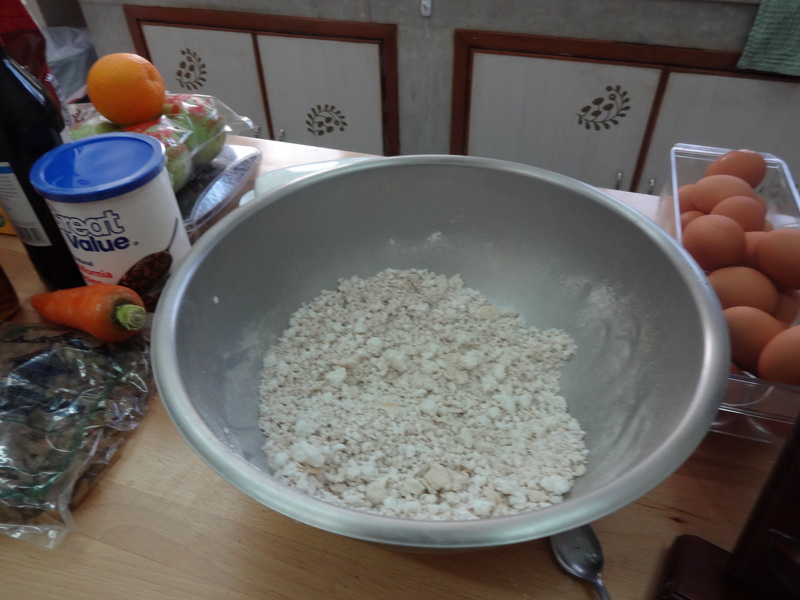 Most of the work is in gathering the ingredients. Once you have them its just a matter of mixing them all together and then boiling the mixture in a pudding dish for eight hours. If anyone is interested in the actual recipe, I’ll include it at the bottom. 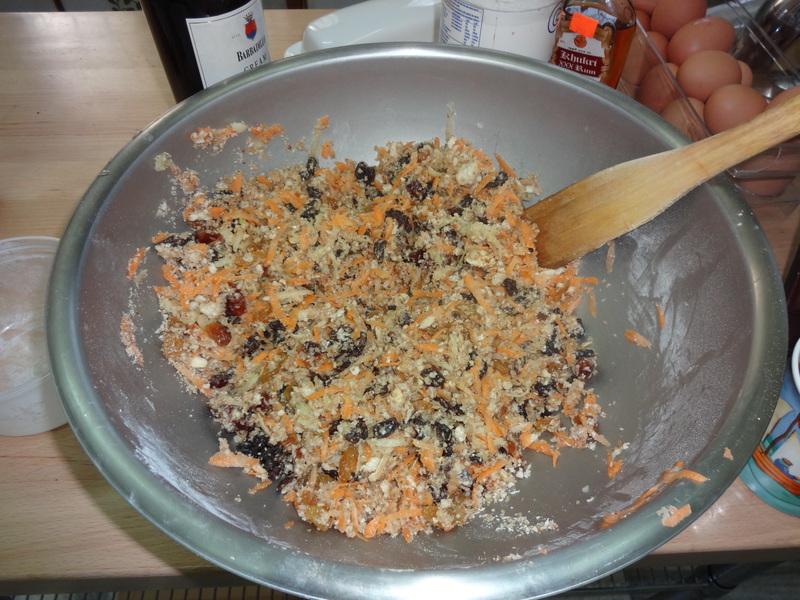 ..then add carrots, apples, lemons, oranges and dried fruit. Last in: eggs, beer, and sherry. The mixed ingredients go into a greased glass or china bowl. 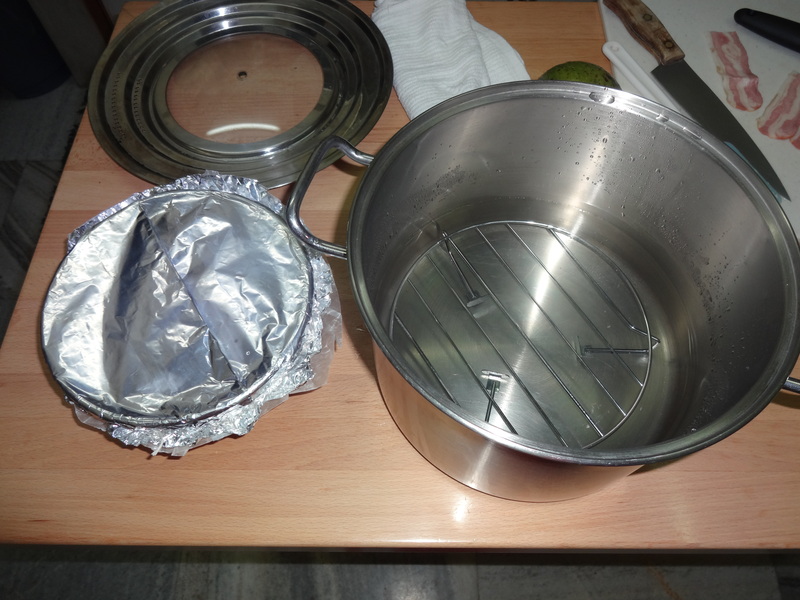 An aluminum “hat” is tied on and the bowl is placed in about 3 inches of water on a trivet in a large saucepan. Steam for eight hours. Before boiling, the pudding is light in colour. At the end it will be a deep dark brown like the traditional picture at the beginning. After its cooled down, remove the aluminum hat and replace it with a new, clean one. Store in a cool place until Christmas Day. To serve, steam again for 3-4 hrs. 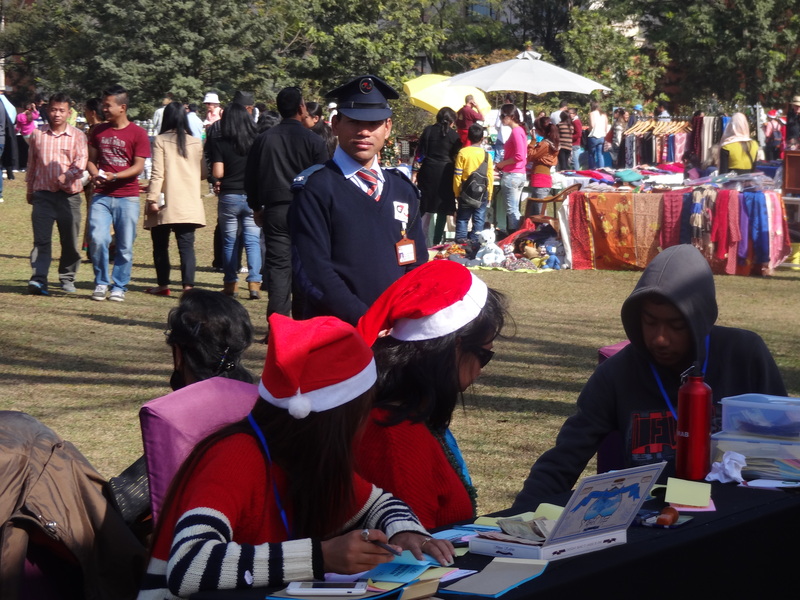 In complete contrast to the previous years in Manila, where the festivities start in September, Christmas in Kathmandu is a low key event. A very, very low key event. And, in truth, I wasn’t really expecting much nor was really that concerned about its absence. I’ve become very “bah-humbug-ish” in recent years. I like the time off, time with friends and family and the pretty lights, but I get very fed up with the commercialism, endless Christmas carols and pressure of the holidays that we’re usually subjected to. We’ve kept things very simple for years, despite Manila’s best attempt at coercing us otherwise. Its my first time spending the Christmas season in a non-Christian country. Considering how many different places we’ve lived, I’m surprised that’s true…but it is. 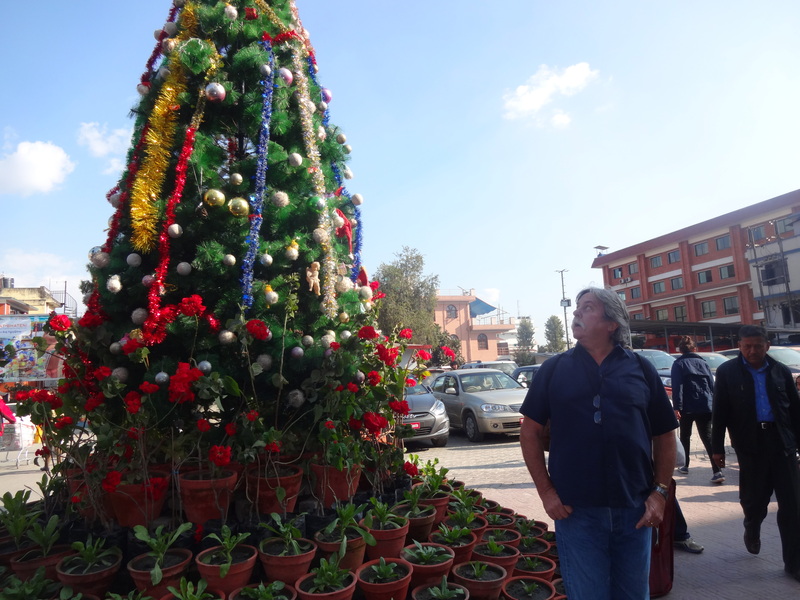 We’ve also just been through a season of festivities here with the big Nepali holidays of Dashian and Tihar, so its not as though we haven’t had our share of colourful lights, traditions and disrupted schedules. The only Merry Christmas sign I’ve seen so far and its a commercial one from the local supermarket. But given that the store is not full of “Christmas bargains” I’ll take it as a friendly appreciative sign towards their Western customers, rather than Western-style commercialism. At a local Christmas bazaar. There are a few. Great things to buy but not really Christmassy in feel. The ladies on the entrance desk were the only real clues that it was Christmas. But, despite my holiday grouchiness, there is something to be said for one’s own traditions and keeping them alive. I’ve always done some holiday baking/sugarcraft work to help kick in the season, planning and making an elaborate Christmas cake every year for my Dad. But after he died, no-one else I knew would eat fruit cake, so sadly that tradition ended. But as Latham got older, we did holiday baking together or we would take on some decorating project for the tree. This was easy to continue in Manila because of all of the Christmas madness, plus Robert’s very large staff and the continual round of Christmas parties. We managed a Christmas cake and Cupcake Tree, which were works of art….even if I say so myself. But…wow….tropical humidity and sugarcraft do not mix. I did not take photos of the cakes on display outside at the poolside Christmas parties, but sugar paste sweats and wilts almost as fast as ice…it was a mess. I think I would have found an alternative medium if I had spend a third year there. There’s just no way to work with sugarcraft in that humidity.